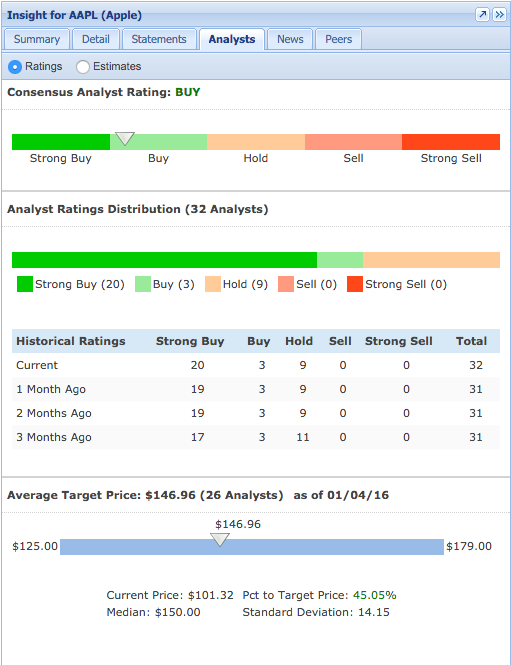 You can also find Analyst Ratings in the Analysts tab of the Insight Panel. The Ratings section aggregates the buy/sell/hold ratings given to stocks by equity research firms. As you can see in the screenshot example below, the information is formatted to give you a clear idea of the overall analyst sentiment, or Consensus Analyst Rating, as well as the distribution of the ratings. The table in this section displays the ratings over the past 3 months so you can see whether analysts have changed their ratings. The chart at the bottom shows the range of the analysts’ target price estimates, including the lowest, highest, mean, and median estimates. 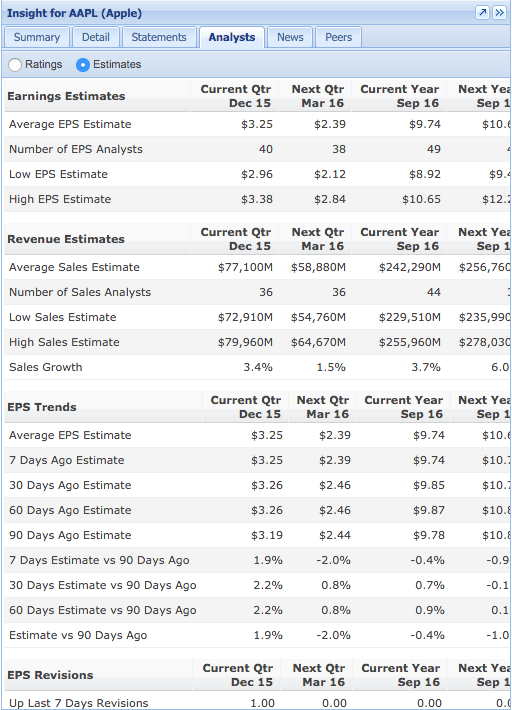 Analyst ratings metrics can also be added individually to the Table or to a screener. You can switch easily between estimates and ratings in the Analysts tab by using the radio buttons at the top, called out below.